ALL venues for the 2016 Palarong Pambansa are ready for the national meet set April 9 to 16 featuring student-athletes, according to organizers. Two new swimming pools and a tennis court with a grand stand are ready for use, while indoor sports will be held in some of the private schools in Legazpi such as St. Agnes Academy, Aquinas University and Divine Word College. Albay is hosting the multi-sports event for the first time, but organizers are confident they will do well as host of the competitions, which should help promote the province as a top tourist destination. Around 10,000 student-athletes, coaches, parents and school officials as well as the media from the 17 regions are participating. “We really worked hard since we won the bidding last October 28, 2015, ’yung facilities naman na-procure na namin implementation na lang ang kulang. 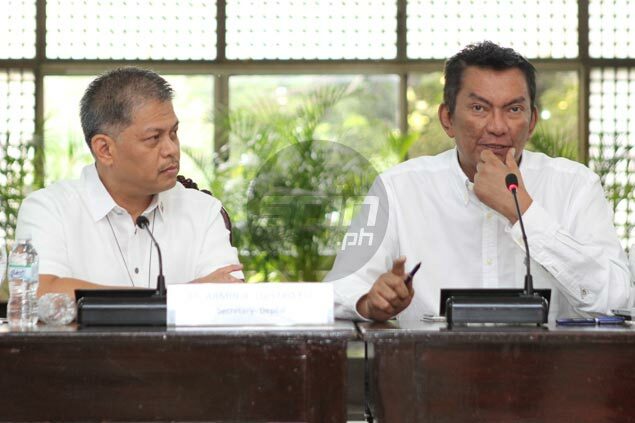 And we really want this to be a touristic Palaro,” said Albay governor Joey Sarte Salceda during the signing of the memorandum of agreement at DepEd Complex in Pasig City on Monday. “Ang Albay naman sa sports na indoor we have the facilities kasi puno kami ng Catholic schools and sa outdoor naman oval lang ang kulang which is provided already,” said the 54-year old Salceda. “Sports tourism is our jump off point. Unang-una, tourism naman kasi ang most horizontal industry. In tourism at least five jobs are created sa short term pa lang ’yun,” he added. “Our aim is to showcase the beauty of Albay secondary to prove to ourselves that we can host the Palaro,” he added.